The School believes in ‘Safety before Study’. Our campus is well-manned and has a fully-equipped CCTV system. In order to safeguard the privacy of all concerned, CCTVs are installed only in public areas such as corridors, staircases, ramps, classrooms, gates and grounds and are operated only by authorized personnel. A variety of security measures are in place at the campus to ensure a high level of physical safety. The campus is a “closed campus”. Parents are discouraged to take students before the official dismissal time. Students as well as all staff members are required to carry Apeejay photo I.D cards. No visitors are issued visitors slip which needs to be handed over at the main gate before going out. Safety and security of our students is of paramount importance to us at Apeejay School, International Wing. The School has taken a number of measures to ensure safety and security on campus. 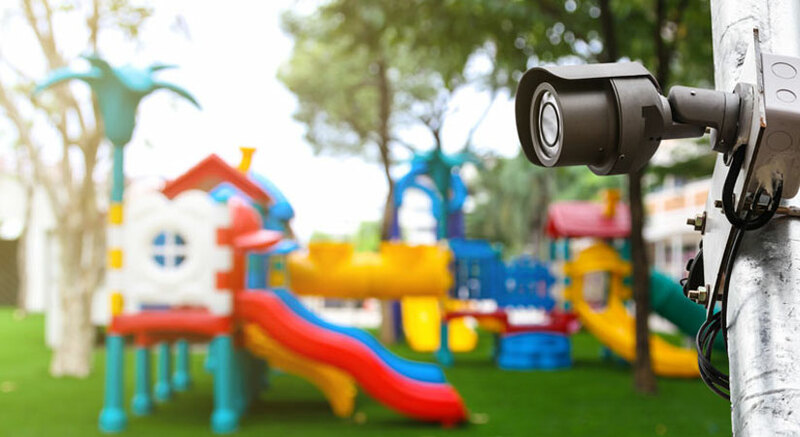 The School is covered under CCTV surveillance which helps to monitor safety & security of the children, staff and all personnel employed in the School. There is a well-maintained control room with special trained personnel to monitor the recording of the same. The School issues identity cards to all students and staff members. Parents as well as persons authorised by parents to drop/pick children are provided with identity cards. All outsiders who visit the School are screened at the entry gates and a written record is maintained of their visit. Visitors are also issued a visitor’s pass. Entry gate is manned by round-the-clock security guards. Teachers are on duty from 7.30 a.m. at the School to monitor and assist the students in the morning and at dispersal time in the afternoon. Fire drills are conducted regularly and School personnel (staff and ancillary staff) have been trained to use fire safety equipment. Regular meetings and mock drills are carried out in the School to face any kind of disaster(s). To ensure safety and provide privacy to the students, the support staff has been provided with separate rest rooms in the School.